Among all the comic book flicks I watch, I have to confess that the X-Men saga has never been my favorite. A few months ago I watched about twenty minutes of the first X-Men movie while it was on TV and it reminded me that I just don’t really care for it. I’ve watched it several times with my friends and my husband, and I don’t think the movies are awful and beyond watching, but I have never connected with them and there are definitely some really dumb parts (especially whatever comes out of Storm’s mouth… shudder). That was until X-Men: First Class, which I really loved the first time I saw it. I don’t love it as much now, but it’s still definitely my favorite of the franchise and I feel it’s heads and shoulders above the rest. 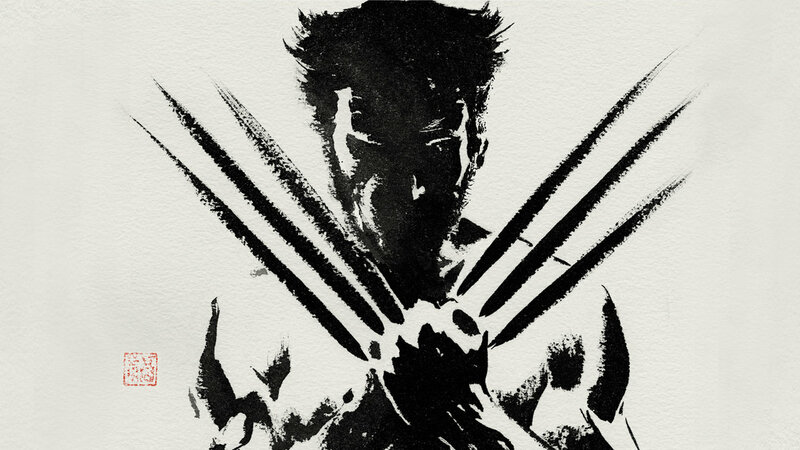 I went into The Wolverine with lowish expectations… I thought I would probably like it decently, since most people seemed to like it better than Wolverine: Origins. I can say that The Wolverine pretty much met those expectations of me liking it well enough. The movie takes place after X-Men: The Last Stand, and Logan is trying to hide out so he won’t bring harm to anyone. He still has nightmares about past instances in his life, and the one that we see at the open of the film is from WWII, when he saved a Japanese soldier from the blast of the nuclear bomb that is dropped nearby. Back in present day, we see Logan followed by an Asian girl with bright red hair, who eventually introduces herself to Logan and explains that the man he saved that day is dying and wanted to see him one last time to say goodbye. Logan reluctantly agrees to go to Japan with the girl, Yoshi Yosemite Yukio, who my husband and I like to refer to as Red. Logan goes to Japan to find that the old man does not just want to say goodbye, but offers Logan to relieve him of his immortality by taking his healing ability so that he himself can live and Logan can die in peace. Even though Logan does not think he has much to live for, he basically says that’s a rotten deal, thanks but no thanks, and walks out. Meanwhile, he observes the reaction of the old man’s family members around him: the man’s son and granddaughter. The granddaughter, Marco Monaco Marigold Mariko, is clearly distraught, and we find out that her life has been threatened. The old man dies and at the funeral, Logan carefully observes the activity of everyone around him, aware that trouble may be stirring. Sure enough, it turns out that there are a large number of men out Mariko, and after fighting off several baddies, Logan gets her away safely. Predictably, the two end up falling for each other, even though it doesn’t make a whole lot of sense. And of course, Mariko is captured again and Logan and Red have to track her down and save the day. Instead of giving away any more of the story, however, I will leave it at that. I liked both Yukio and Mariko pretty well and thought they were fairly well-developed characters. Yukio seemed to have an interesting personality and Mariko I think proved at the end that she was more than just a pretty faced love interest (though Logan’s nickname of her, “Princess,” is quite fitting). I never fully understood the motives of the villains though (just greed? ), and especially did not care for Viper, who they might as wall have cast Uma Thurman for and called her Poison Ivy because they were crazy similar. But to be fair to the writers of the movie, she is a character from the comics. I had other likes and dislikes but overall, this is a fairly fun action flick that adds maybe a little bit more to the franchise and to the character, but not a lot. The part of the movie that stirred my curiosity the most actually turned out to be the stinger, the scene within the credits, which sets up the forthcoming X-Men: Days of Future Past. It was sort of interesting how almost the entire movie takes place in Japan, completely out of Logan’s environment, but I suppose that helps us realize that mutants are worldwide. For its decent entertainment value with nothing earth-shattering in the plot, I give The Wolverine three out of five stars. Have you seen The Wolverine? What were your thoughts? How do you feel about the X-Men franchise as a whole? I was wondering about this one, and then when I saw your review had a pic of Poison Ivy I had to click on it. haha. I think for me it would fit my expectations as well. I would watch it for pure entertainment value, but would probably quickly forget it afterwards. I’ve seen all the Xmen movies and the other Wolverine movie, and I’ve liked them enough. Probably not enough to go to the theatres for them, but enough that I’d rent them. I’m with you though, my favorite has to be XMen First Class. 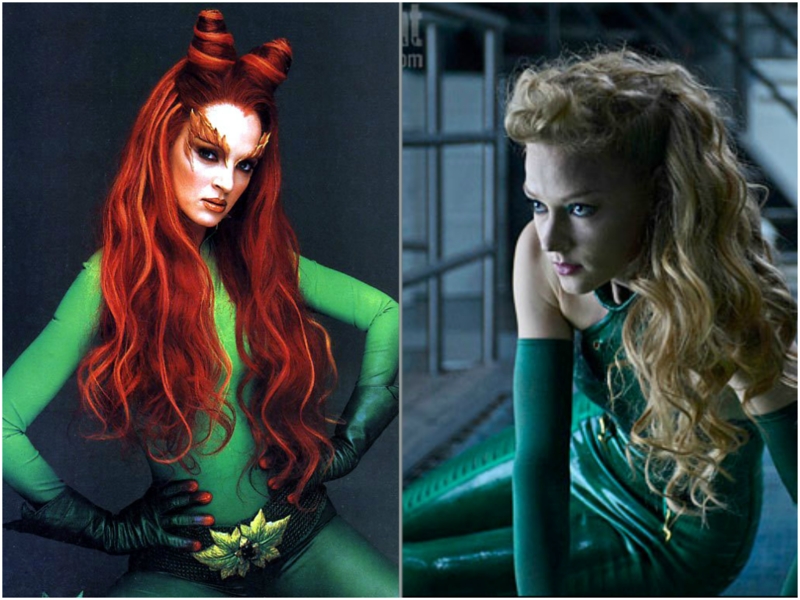 Ha ha, and I’m sure you were wondering why Poison Ivy was in my Wolverine review! Sounds like this would be a good rental for you! I agree with your general idea, and don’t have any particular point that I disagree strongly with. OH. The funny thing with me, is that when I first saw XM:FC, I didn’t like it as much as you did. I actually liked it a lot more on a later viewing. I wonder if we’ve met in the middle on it now, lol. The X-men are my favourite superhero characters, so I always try and catch the movies. But that doesn’t mean I like all of them. I remembered enjoying the first X-men movie when I saw it in theaters, but the second was just ok and I remember being disappointed with the last. And I never liked Storm in them. Her hair was a mess in all of the movies and Halle Berry just didnt have that tribal warrior queen look about her that I imagine Storm to have. But I love X-men First Class so am looking forward to the sequel Days of Future Past. However I didn’t like like Wolverine Origins. So even though I would undoubtedly watch this new one, I’m not exactly yearning to see it. I think it’s a little better than Origins. It’s not the best movie but it’s not the worst, certainly worth a rental when you have the time to check it out, especially since you are an X Men fan.